Local haulage firm V&K Group, based in Cardiff Docks is a family business, with years of hands on experience in domestic and international markets. The business works across a wide range of transport areas and used quality transport to deliver and collect goods Europe-wide. The business recently had this brand-new MAN TGX tractor delivered from the local Cardiff MAN dealer: WG Davies. 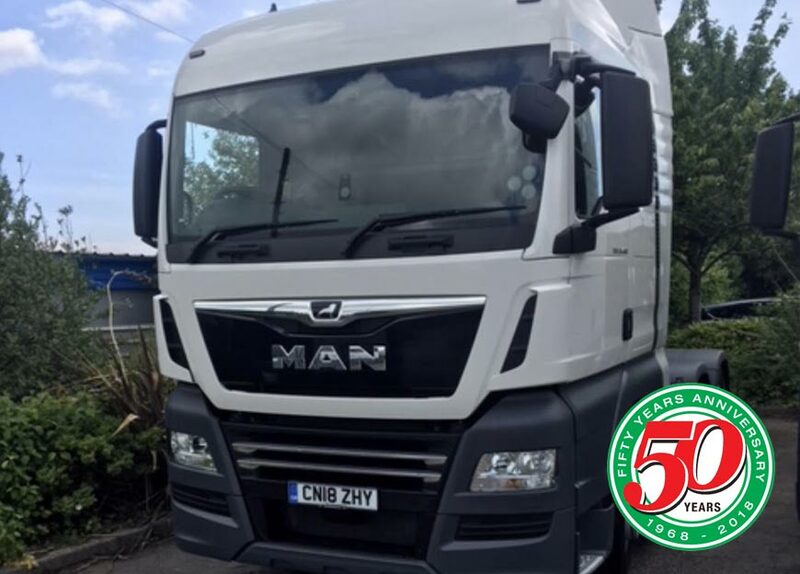 A long-term member of the MAN dealer network, WG Davies offers a range of transport support services for local operators, with new and nearly new vehicles for sale, high tech workshops for caring for your commercial vehicles and breakdown support through MAN’s Mobile24 service. WG Davies has depots at Cardiff, Swansea and Tenby in South West Wales, 2018 sees the 50th Anniversary of this successful transport business in South Wales.